Mercy Sheldon was the daughter of Simeon Sheldon and Grace Phelps. Mercy Sheldon married Phineas Woolworth. [S82] Gary Boyd Roberts and William Addams Reitwiesner, Princess Di, Page 69. Phineas Woolworth married Mercy Sheldon, daughter of Simeon Sheldon and Grace Phelps. Jasper Woolworth was the son of Phineas Woolworth and Mercy Sheldon. Jasper Woolworth married Elizabeth G. Buel. Elizabeth G. Buel married Jasper Woolworth, son of Phineas Woolworth and Mercy Sheldon. John Hubbell Woolworth was the son of Jasper Woolworth and Elizabeth G. Buel. Founder of the F.W. Woolworth department store chain. Frank Winfield Woolworth was born in 1852. He was the son of John Hubbell Woolworth and Fanny McBrier. Frank Winfield Woolworth died in 1919. Ruth Sheldon was born on 27 August 1663. She was the daughter of Isaac Sheldon and Mary Woodford. Ruth Sheldon married Joseph Wright on 6 November 1679. Ruth Sheldon married Samuel Strong, son of Elder John Strong and Abigail Ford, on 28 October 1698. Joseph Wright was born on 2 June 1657. He married Ruth Sheldon, daughter of Isaac Sheldon and Mary Woodford, on 6 November 1679. Joseph Wright died on 16 February 1697 at age 39. Ruth Wright was the daughter of Joseph Wright and Ruth Sheldon. Ruth Wright married Sgt. Luke Noble, son of Thomas Noble and Hannah Warringer, on 5 May 1708. [S82] Gary Boyd Roberts and William Addams Reitwiesner, Princess Di, Page 68. [S325] Lucius M. Boltwood, Thomas Noble, Page 568. [S325] Lucius M. Boltwood, Thomas Noble, Page 573. [S325] Lucius M. Boltwood, Thomas Noble, Page 374. [S325] Lucius M. Boltwood, Thomas Noble, Page 581. [S325] Lucius M. Boltwood, Thomas Noble, Page 582. Elizabeth Robbins Root was the daughter of George Bridges Rodney Root and Honor Robbins. Frederick Augustus Francis was the son of Manning Francis and Elizabeth Robbins Root. Frederick Augustus Francis married Jessie Ann Stevens. Jessie Ann Stevens married Frederick Augustus Francis, son of Manning Francis and Elizabeth Robbins Root. Anne Ayers Francis was the daughter of Frederick Augustus Francis and Jessie Ann Stevens. Anne Ayers Francis married John Newell Robbins. John Newell Robbins married Anne Ayers Francis, daughter of Frederick Augustus Francis and Jessie Ann Stevens. Kenneth Seymour Robbins was the son of John Newell Robbins and Anne Ayers Francis. Kenneth Seymour Robbins married Edith Luckett. Edith Luckett married Kenneth Seymour Robbins, son of John Newell Robbins and Anne Ayers Francis. Anne Francis Robbins was also known as Nancy Davis. She was born on 6 July 1921 at Sloane Hospital for Women, New York, NY. She was the daughter of Kenneth Seymour Robbins and Edith Luckett. Anne Francis Robbins married President Ronald Wilson Reagan, son of John Edward Reagan and Nellie Clyde Wilson, on 4 March 1952 at North Hollywood, CA.2 Anne Francis Robbins died on 6 March 2016 at home, Bel-Air, Los Angeles Co., CA, at age 94. She was buried on 11 March 2016 at Ronald Reagan Presidential Library, Simi Valley, Ventura Co., CA. 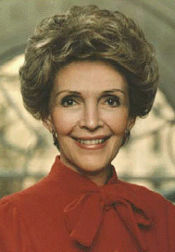 The cause was congestive heart failure, according to a statement from Joanne Drake, a spokeswoman for Mrs. Reagan. Born Anne Frances Robbins on July 6, 1921, in New York City, Nancy Davis was the daughter of Edith Luckett, an actress, and Kenneth Robbins, a car dealer who abandoned the family soon after her birth. Ms. Luckett resumed her stage career when her daughter was 2 and sent the child to live with relatives in Bethesda, Md. In 1929, Ms. Luckett married a Chicago neurosurgeon, Loyal Davis, who adopted Nancy and gave her the family name. Almost overnight, Nancy Davis’s difficult childhood became stable and privileged. Throughout the rest of her life, she described Mr. Davis as her real father. Nancy Davis graduated from the elite Girls’ Latin School in Chicago and then from Smith College in 1943. Slender, with photogenic beauty and large, luminous eyes, she considered an acting career. After doing summer stock in New England, she landed a part in the Broadway musical “Lute Song,” with Mary Martin and Yul Brynner. With the help of a friend, the actor Spencer Tracy, her mother then arranged a screen test given by the director George Cukor, of MGM. Cukor, according to his biographer, told the studio that Miss Davis lacked talent. Nonetheless, she was given a part in the film she had tested for, “East Side, West Side,” which was released in 1949 starring Barbara Stanwyck, James Mason and Ava Gardner. Cast as the socialite wife of a New York press baron, Miss Davis appeared in only two scenes, but they were with Miss Stanwyck, the film’s top star. But this was a convention in a day when women were not encouraged to have careers outside the home. In his book “Reagan’s America: Innocents At Home,” Garry Wills disputed the prevalent view that Miss Davis had just been marking time in Hollywood while waiting for a man. She was “the steady woman,” he wrote, who in most of her 11 films had held her own with accomplished actors. The producer Dore Schary cast Miss Davis in her first lead role, in “The Next Voice You Hear” (1950), playing a pregnant mother opposite James Whitmore. She received good reviews for her work in “Night Into Morning” (1951), with Ray Milland, in which she played a war widow who talked Milland’s character out of committing suicide. Mrs. Reagan thought this was her best film. Mr. Wills wrote that she was underrated as an actress because she had become most widely associated with her “worst” and, as it happened, last film, “Hellcats of the Navy” (1957), in which Ronald Reagan had the leading role. As she so often did in life, Nancy Davis took the initiative in meeting the man who would become her husband. In the late 1940s, Hollywood was in the grip of a “Red Scare,” prompted by government investigations into accusations of Communist influence in the film industry. In October 1949, the name “Nancy Davis” appeared in a Hollywood newspaper on a list of signers of a supporting brief urging the Supreme Court to overturn the convictions of two screenwriters who had been blacklisted after being found guilty of contempt for refusing to cooperate with the House Un-American Activities Committee. Such newspaper mentions could mean the end of a career, and Nancy Davis sought help from her friend Mervyn LeRoy, who had directed her in “East Side, West Side.” LeRoy found it was a case of mistaken identity: another Nancy Davis had worked in what he called “leftist theater.” He offered to call Ronald Reagan, president of the Screen Actors Guild, to make sure there would be no problems in the future. Instead, Miss Davis insisted that LeRoy set up a meeting with Mr. Reagan. The meeting took place over dinner at LaRue’s, a fashionable Hollywood restaurant on Sunset Strip. Mr. Reagan, recovering from multiple leg fractures suffered in a charity baseball game, was on crutches. Miss Davis was immediately smitten. Mr. Reagan, though, was more cautious. According to Bob Colacello, who has written extensively about the Reagans, Mr. Reagan still hoped for a reconciliation with his first wife, the actress Jane Wyman, who had divorced him in 1948. After dating several times in the fall of 1949, Mr. Reagan and Miss Davis drifted apart and dated others. But they began seeing each other again in 1950. Miss Davis had been accepted on the board of the Screen Actors Guild, and she and Mr. Reagan began having dinner every Monday night after the meetings, often with the actor William Holden, the guild vice president, according to Mr. Colacello. Mr. Reagan and Nancy Davis were married on March 4, 1952, at a private ceremony at The Little Brown Church in the Valley, in Studio City. Mr. Holden and his wife, Ardis, were the only witnesses. After their marriage, the Reagans bought a house in the Pacific Palisades area of Los Angeles, where their daughter, Patricia Ann, was born — “a bit precipitously,” Mrs. Reagan wrote in her memoirs — on Oct. 21, 1952. She is known as Patti Davis professionally. The Reagans also had a son, Ronald Prescott, on May 28, 1958. The money worries ended early in 1954, when Music Corporation of America, the entertainment conglomerate, offered Mr. Reagan a television contract for $125,000 a year to be the host of “General Electric Theater.” It had a long run, broadcast on Sunday nights until 1962, and Mrs. Reagan herself acted in a few of its episodes. After the presidency, the Reagans returned to Los Angeles and settled in a ranch house in exclusive Bel Air. In 1994, Mr. Reagan learned he had Alzheimer’s disease and announced the diagnosis to the American people in a poignant letter, which Mrs. Reagan had helped him write. At Mr. Reagan’s funeral, at the National Cathedral in Washington, she remained in tight control of her emotions. Then she flew west with the coffin for a burial service at the Ronald Reagan Presidential Library in Simi Valley, Calif., where Mrs. Reagan will also be buried. At the conclusion of the ceremony, at sunset, soldiers and sailors handed Mrs. Reagan a folded American flag. She held it close to her heart, put it down on the coffin, and at last began to cry. Besides her son and daughter, survivors include Mrs. Reagan’s stepson, Michael Reagan, and her brother, Dr. Richard Davis. A stepdaughter, Maureen Reagan, died in 2001. President Ronald Wilson Reagan was born on 6 February 1911 at Tampico, Whiteside Co., IL.2 He was the son of John Edward Reagan and Nellie Clyde Wilson. President Ronald Wilson Reagan married Sarah Jane Mayfield on 26 January 1940 at Glendale, Long Beach Co., CA. President Ronald Wilson Reagan and Sarah Jane Mayfield were divorced on 28 July 1949.2 President Ronald Wilson Reagan married Anne Francis Robbins, daughter of Kenneth Seymour Robbins and Edith Luckett, on 4 March 1952 at North Hollywood, CA.3 President Ronald Wilson Reagan died on 5 June 2004 at Los Angeles, Los Angeles Co., CA, at age 93. 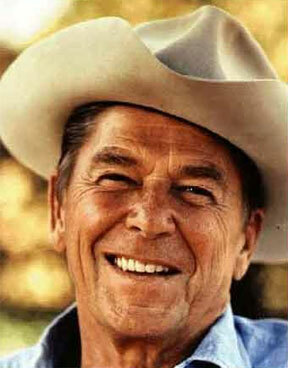 He was buried on 11 June 2004 at Reagan Presidential Library, Simi Valley, Ventura Co., CA. In an unusual note, Reagan's two wives were 10th cousins through ancestors Robert White and his wife Bridget Allgar. Following his death, a National funeral service was held at the Washington National Cathedral and his body was then flown to California's Point Mugu and transported to the Presidential Library for a private burial service. Mindwell Sheldon was the daughter of Isaac Sheldon and Mary Woodford. Mindwell Sheldon married John Lyman Jr.
Children of Mindwell Sheldon and John Lyman Jr.
John Lyman Jr. married Mindwell Sheldon, daughter of Isaac Sheldon and Mary Woodford. Elizabeth Lyman was the daughter of John Lyman Jr. and Mindwell Sheldon. Elizabeth Lyman married Abner Moseley. Abner Moseley married Elizabeth Lyman, daughter of John Lyman Jr. and Mindwell Sheldon. [S82] Gary Boyd Roberts and William Addams Reitwiesner, Princess Di, Page 66. Esther Moseley was the daughter of Abner Moseley and Elizabeth Lyman. Elizabeth Hall was the daughter of Isaac Hall and Esther Moseley. Anna Jones was the daughter of Nicholas Jones and Elizabeth Hall. Anna Jones married Jared Doolittle, son of Joseph Doolittle III and Sarah Hart. Jared Doolittle was the son of Joseph Doolittle III and Sarah Hart. Jared Doolittle married Anna Jones, daughter of Nicholas Jones and Elizabeth Hall. Edgar Jared Doolittle was the son of Jared Doolittle and Anna Jones. Edgar J. Doolittle, II, president of the Home National Bank, president of the Doolittle Box Company, and former mayor of Meriden and state senator, died at the Meriden Hospital tonight at 10 o’clock. Mr. Doolittle had suffered with a heart affection for about a year, but had been able to attend to his affairs as usual until last week Monday when an acute attack of his trouble made it necessary to go to the hospital for treatment. Mr. Doolittle was born in Hebron, Conn. And after graduating from Guilford Institute came to Meriden in 1862 and started the manufacture of paper boxes, which small concern has grown to be one of the largest paper box factories in the state. For many years he was connected with the Home National Bank, and for a dozen years had been its president. Mr. Doolittle was elected mayor of Meriden five times, serving from 1882 to 1887, and was unanimously nominated for a sixth term, but declined. His popularity is attested by the fact that he was elected by larger majorities than any other mayor of the city. He also served in the State Legislature as senator from the thirteenth district and in 1912 was prominently mentioned as a candidate of the republican party for the office of governor, an honor which he declined. On November 13, 1867, Mr. Doolittle married Martha W., daughter of George and Mary Warner Couch, who died on August 1, 1902. He had one daughter, Mrs. Dorothy Doolittle Holcomb of Waterbury, who survives him. Later he married Mrs. Adelaide Davis, who also survives him. Fraternally Mr. Doolittle was a Mason, a Knight Templar, and had risen to the thirty-second degree, being also a Mystic Shriner. He was a member of the Sons of the American Revolution, his paternal grandfather having been a Revolutionary soldier and his maternal grandfather, Captain William Sage, took part in the battle of Bunker Hill. Child of Martha Warner Couch and Edgar Jared Doolittle Jr.
Dorothy Doolittle was born on 8 March 1889. She was the daughter of Edgar Jared Doolittle Jr. and Martha Warner Couch.1 Dorothy Doolittle married Frederick Wainwright Holcombe, son of Henry A. Holcombe and Mary Wainwright, on 15 November 1911. Dorothy Doolittle died on 1 January 1970 at age 80. She was buried at Walnut Grove Cemetery, Meriden, New Haven Co., CT.
Joseph and Uranna were enumerated in the 1850 Windsor, Ashtabula Co., OH, federal census, dwelling 1575, household 1627. He was a farmer, age 64, born in CT; she was 63, born in CT. There were no others in the household. Jane Holcombe was born on 11 September 1913 at Waterbury, New Haven Co., CT. She was the daughter of Frederick Wainwright Holcombe and Dorothy Doolittle. Jane Holcombe married Pierre Samuel du Pont III, son of Lammot du Pont II and Natalie Wilson, on 24 June 1933 at Fishers Island, NY. Jane Holcombe died in 1985. [S158] The American Historical Company Inc. Colonial Lineages, Vol. 22:Pg. 150/Item XI. [S172] Gary Boyd Roberts, Notable Kin II, Page 13. Pierre Samuel du Pont III was born on 1 January 1911 at Wilmington, New Castle Co., DE. He was the son of Lammot du Pont II and Natalie Wilson. Pierre Samuel du Pont III married Jane Holcombe, daughter of Frederick Wainwright Holcombe and Dorothy Doolittle, on 24 June 1933 at Fishers Island, NY. Pierre Samuel du Pont III died on 9 April 1988 at Wilmington, New Castle Co., DE, at age 77. Pierre S. du Pont 3d, a retired business executive and former vice president of E. I. du Pont de Nemours & Company, died early Saturday at his home in Rockland, Del., after an illness of six months. He was 77 years old. Mr. du Pont was a great-great-grandson of Eleuthere Irenee du Pont, the founder of the huge Delaware-based chemicals maker. His father was Lammot du Pont, a former president and chairman of the company, and his son, Pierre S. du Pont 4th, is a former Governor of Delaware and Republican Presidential candidate. Pierre S. du Pond 3d was a 1933 graduate of the Massachusetts Institute of Technology and started the following year as a chemist in the company's experimental station in Wilmington, Del. During World War II, he was in charge of military products in du Pont's nylon division. Elected a director in 1948, he became assistant sales director in the rubber chemicals division of the organic chemical department. In 1954, he became company secretary and a member of the finance committee. From 1963 to 1965, he was a vice president and member of the executive committee. Mr. du Pont was engaged in community affairs and had an active interest in the Wilmington Medical Center and the Tower Hill School, of which he was a past president and chairman. He also was a yachting enthusiast, especially ocean sailing, and backed the construction of the American Eagle for the 1964 America's Cup races. For many years, he kept a summer home on Fishers Island, L.I. In addition to his son, survivors include two daughters, Jane du Pont Kidd of Dallas and Michele du Pont Goss of San Francisco; a sister, Mrs. G. Burton Pearson Jr. of Montchanin, Del; and 11 grandchildren. Thomas Hart was the son of Stephen Hart. Hawkins Hart was the son of Thomas Hart and Ruth Hawkins. Hawkins Hart married Sarah Royce. Sarah Royce married Hawkins Hart, son of Thomas Hart and Ruth Hawkins.